There’s been a lot in the media about mobile phone coverage and how much better foreign travellers as they skip to the network with the best signal as they move from place to place. Meanwhile UK residents have to put up with the best that their chosen network can offer – or find a nearby free WiFi zone to tap into. Things are improving – although relatively slowly. First Bus and Arriva have both introduced WiFi on some of their buses – and there are even charging points on some double deckers. Many trains now offer charging for mobile devices and WiFi in some carriages, but as regular travellers know it is inclined to drop out in places! 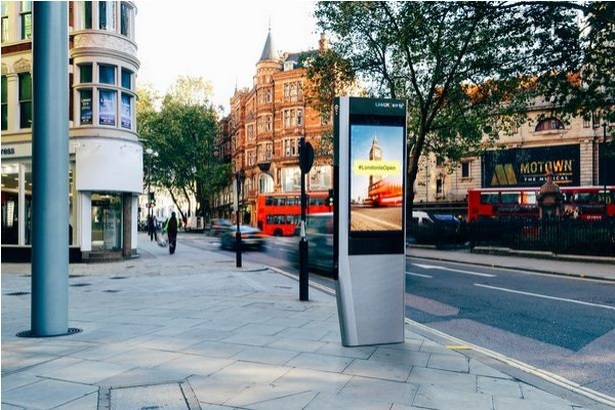 The latest news on the getting connected front is that BT plans to convert London payphones into WiFi zones in London. This system is already operating in New York so it’s not exactly leading the way, but is definitely a step in the right direction. The new station will be called a BT Link and there are plans to offer free phone calls to landlines and mobile and superfast Wifi with speeds up to 1 GBps. There will be two USB charging points and a touch-screen for accessing maps and local facilities. You’ll even be able to find out about air and noise pollution, temperature and traffic conditions. While this may be great use for people who are out and about in the capital – it could be less good news for local businesses, especially facilities like coffee shops who currently charge people to use their WiFi service. If there’s a Link station outside with free WiFi will people sitting in their premises be able to tap into that Wifi service instead? Coffee shops don’t always encourage people to spend all day sitting in their premises and working – it takes up valuable revenue-earning space – which is why they usually charge to use their WiFi service. It will be interesting to see how that works out as the Link stations are established. With 750 Link stations planned for London, other UK cities will also be getting their own Links in the near future.